The 2018 Seasearch Crawfish survey had a successful start to the year with 2 days fieldwork completed in May and June. Seasearch is a volunteer diving project and this year, with support from Biodiversity Solutions, will be completing a total of 4 days of focused Crawfish surveys. 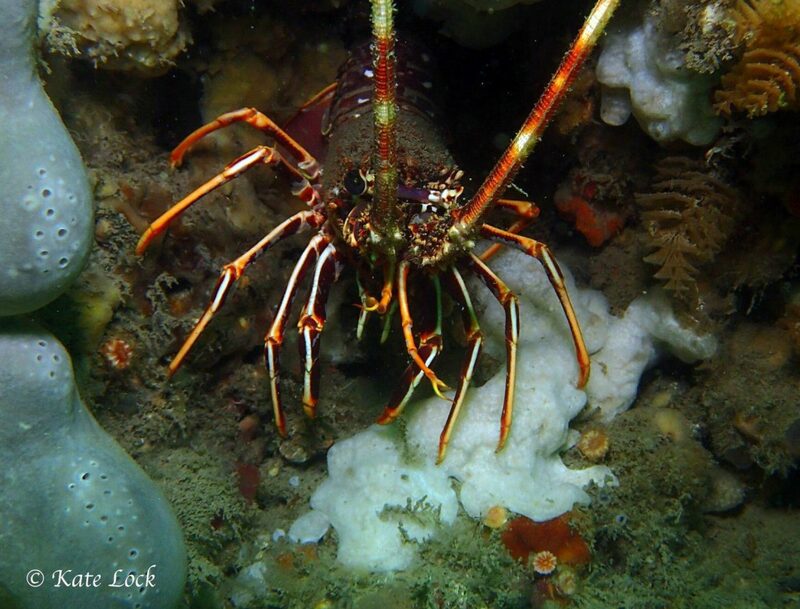 Crawfish, also known as crayfish, spiny lobster or rock lobster, are marine crustaceans. They are found in the sub-tidal on exposed rocky seabeds where protective holes and crevices are numerous, in depths typically between 5 – 70m. 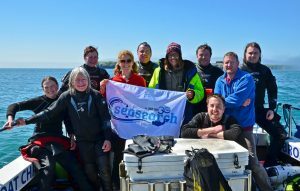 They are an important predator on rocky reefs and are part of the ‘Rocky Reef’ feature of the Pembrokeshire Marine Special Area of Conservation (SAC). Unfortunately, there has been a dramatic decline in the population throughout the UK since 1960 due to overexploitation both by commercial fishing vessels and collection by scuba divers during the 1970’s and early 1980’s. Numbers of crawfish are currently very low in the UK but they are still seen, in low numbers, in Wales particularly at sites around the Pembrokeshire coast and the Llyn Peninsula.